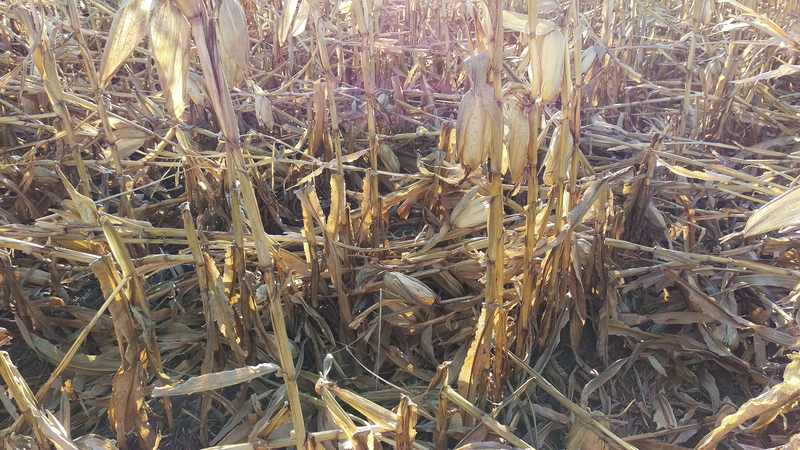 As if rain delays weren’t frustrating enough this harvest, a broad swath of southern Nebraska experienced high winds Thursday and Friday, downing corn and leaving 20-60 bu/ac grain on the ground in some areas. Implementing some of these recommended combine adjustments may be just the ticket for getting more grain in the wagon. The dectes stem borer has been expanding its range in Nebraska and university entomologists are now receiving damage reports from eastern Nebraska. This week's Cornhusker Economics analyzes farm program payment rates, providing details on the current payments as well as the outlook for future support. As commodity prices have declined from pre-2014 levels, ARC and PLC have become important components of the farm income safety net. Early estimates indicate, however, that this could change next year. Mark your calendars for the 2018 Nebraska Women in Agriculture Conference in Kearney. The event features two nationally known keynote speakers and more than 30 concurrent sessions on agricultural risk management. The Ag Land Lease programs are designed to help landlords and tenants develop leases that work well for both parties. The program will cover: understanding the latest land values and cash rental rates, communication and information sharing between a tenant and landlord, common lease provisions, and lease termination, among other topics. Schedule an appointment for one-on-one, confidential consultations with farm finance and ag law specialists at one of four clinics being held in Nebraska in November. What Will a La Nina Winter Mean for the Midwest? The Climate Prediction Center reissued its La Nina Watch on October 12, stating that the odds of a La Nina occurring during our North American winter have now increased to 55%-65%. A new interactive online tool, the Crop Residue Exchange, links farmers with fields of crop residue with livestock producers looking for new grazing opportunities. Incorporating cover crops and livestock grazing into a no-till system will be the focus of the 2018 Farming Evolution event Feb. 13-14 in Holyoke, Colorado. The EPA recently announced label changes that would make dicamba a Restricted Use Pesticide for the 2018 crop year. An ag lawyer looks at what the changes will mean for farmers. Chick peas, shown here, and dry edible beans will be the focus of three USDA Specialty Crop grants recently awarded to the University of Nebraska-Lincoln. From growing chick peas in western Nebraska to reducing pesticide use in apple orchards in Nebraska City, 12 specialty crop projects across the state will receive nearly $600,000 in funding from the U.S. Department of Agriculture’s Specialty Crop Block Grant Program. Three of the grants target chickpea and dry bean production and products that could be derived from dry beans. Nebraska crop harvest was 67% complete for soybean, 26% for corn, 34% for sorghum, and 84% for dry edible beans, according to the Oct. 22 report from the USDA National Agricultural Statistics Service.